Protecting You Like One of Our Own. SOT 2019 – Thursday Posters! Testing methods using laboratory animals for regulatory toxicology or for studies where there is no valid alternative. 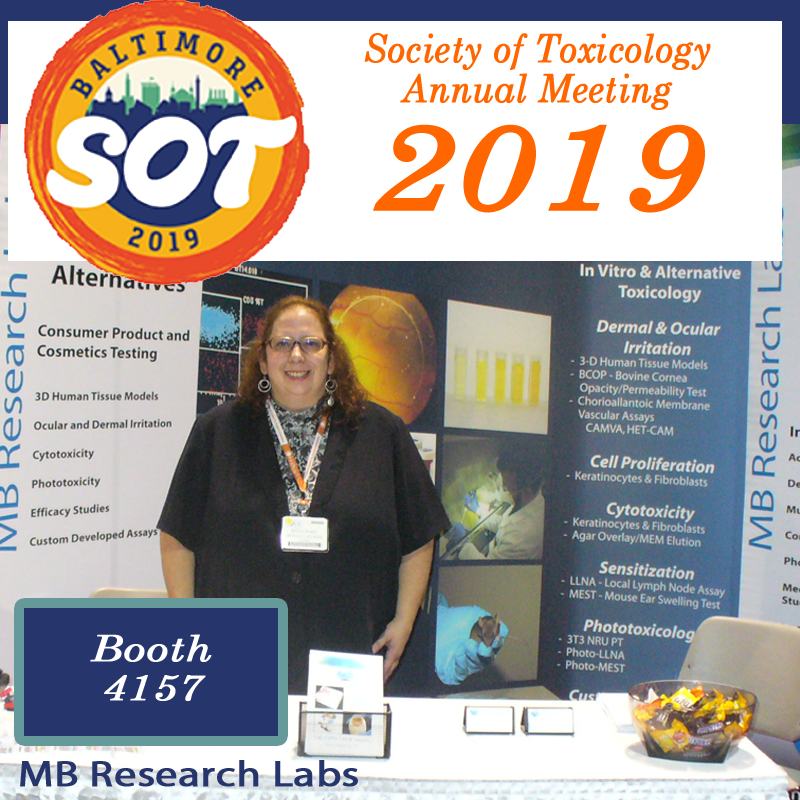 SOT 2019 in Baltimore! Don’t miss our special posters on Thursday Morning! Here we go! 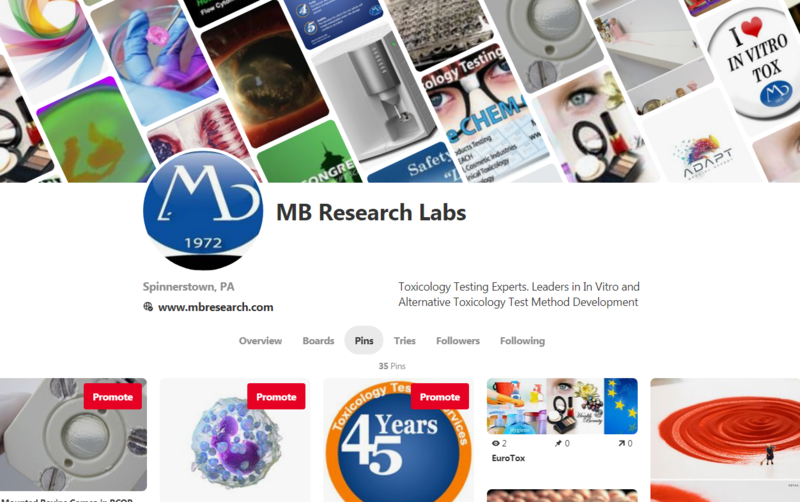 Just started our official Pinterest Page which will feature cool and interesting pics of MB Research, our work and likes! Balancing on the edge of science and art. I hope that you will like our take on Toxicology, Art and Design. 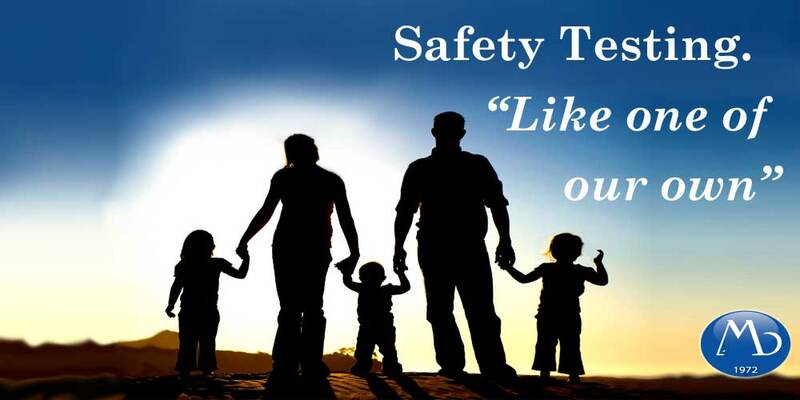 We want to be your Trusted Toxicology Testing Partner. On Sep. 28,2018, California Governor Jerry Brown signed the California Cruelty-Free Cosmetics Act (California SB-1249), a bill banning the sale of cosmetics that undergo animal testing, making California the first state to approve such a ban. 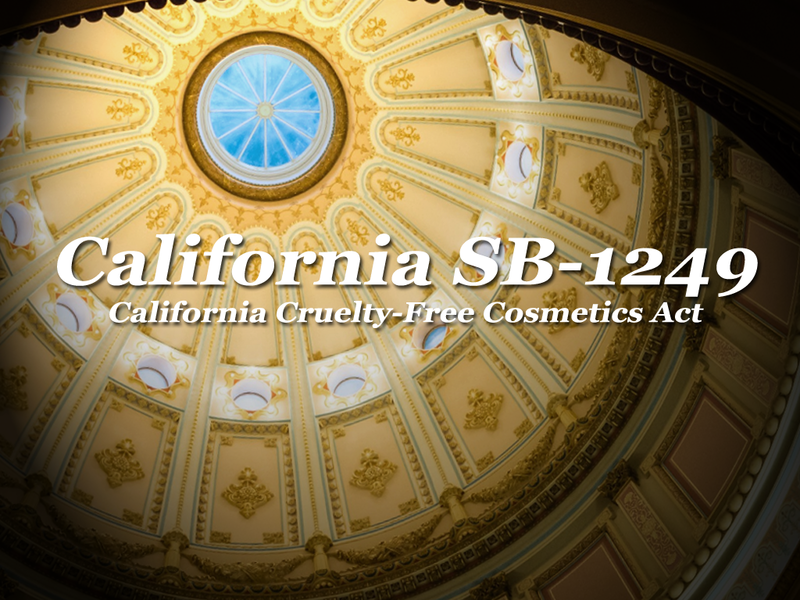 The California Cruelty-Free Cosmetics Act makes it unlawful for cosmetic manufacturers to sell any cosmetic in California if the final product or any component of the product was tested on animals and goes into effect Jan. 1, 2020. Products that have undergone testing on animals before that date can still be sold in California. Earlier in the month, the bill passed the state legislature after it was narrowed in scope. Are You Ready With In Vitro Testing? MB Research Labs is positioned to help manufacturers with a suite of in vitro and alternative (non-animal) tests for cosmetic safety testing. MB has over 45 years of toxicology testing experience and over 25 years of testing using non-animal test methods. 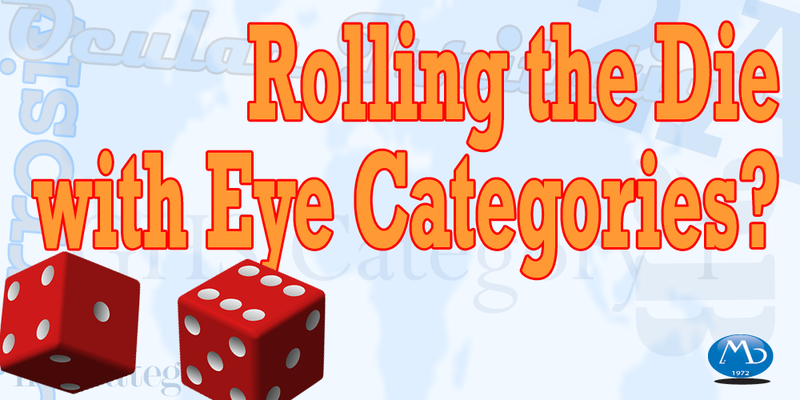 OECD 405 – GHS Toxicity Categorization for Eye Irritation & Corrosion Rolling the Die with Eye Categories? The Organization for Economic Co-Operation and Development (OECD) has prescribed the use of a weight-of-evidence (WoE) analysis, integrated with a sequential testing strategy, for the classification of acute eye hazards. The October 2017 revision to the Health Effects Test Guideline No. 405 outlines a stepwise strategy that includes Step 6, “Perform validated and accepted in vitro or ex vivo ocular test(s),” specifying only four possible tests: three designed to identify severe eye irritation/ corrosion (GHS Category 1) and one to identify non-irritants (GHS No Category), the top-down and bottom-up approaches, respectively. The GHS Category 2 (eye irritant) classification is impossible by any one bottom-up or top-down test. The EpiOcular™ Eye Irritation Test; EIT (OECD 492), as a bottom-up test, either determines a material to be No Category, or that it causes eye effects, but cannot discriminate between eye irritation, serious eye damage, and corrosion. Conversely, the top-down Bovine Corneal Opacity and Permeability; BCOP Test (OECD 437), is used for ruling in or ruling out Category 1 effects (serious eye damage/corrosion). By using a dual-assay/approach system – the combination of the EIT and BCOP test – we have determined, with a high degree of accuracy, GHS Acute Eye Hazard Category 2 chemicals that cause reversible irritation to the eye. A Double Elimination occurs when a BCOP test rules out GHS Category 1 (severe irritation/corrosion) and the EIT rules out GHS No Category (non-irritant), analysis of the combined results concludes the only other possible designation – Category 2 (irritant). The classification defaults to Category 2A for labeling and handling purposes because at present differentiation between category 2A and 2B cannot be made. Using this approach, we correctly identified 87% of the Category 2A/B chemicals as Category 2 after testing 42 chemicals (nine, 15, and 18 in Category 1, 2A/B, and No Category, respectively). As a result of this analysis, we are encouraged by the potential of the BCOP-EIT dual-assay system, coupled with WoE evaluation, to correctly assign unknowns into GHS Category 1, Category 2A, and No Category Acute Eye Hazards without the use of less predictive and more expensive in vitro tests. Moreover, in keeping with the OECD’s recommendations, we predict that such a system would greatly reduce reliance on the Draize Rabbit Eye Tests. For more info about MB Research. 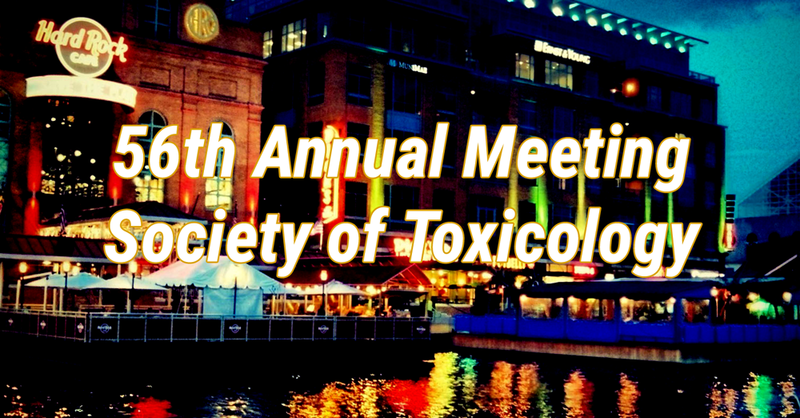 Visit MB Research Labs in San Antonio, Texas Mar 11th-15th, 2018 for the SOT 57th Annual Meeting and ToxExpo. Come on by Booth #550 to get the latest on In Vitro/Alternative Toxicology Testing and Research performed at MB Research Labs. Since 1972, MB Research Labs is a GLP contract research organization (CRO) that has been performing toxicology (acute, subchronic / chronic) and pharmacology studies for leaders in the pharmaceutical, biotechnology, medical device and agrochemical industries and government agencies. With a wide range of testing protocols available, MB Research Labs offers comprehensive capabilities to to address your unique needs and goals with speed and accuracy. Our expertise in many areas of in vivo and in vitro testing, research, and safety evaluations is the foundation upon how MB Research serves the pharmaceutical toxicology testing needs of both government and industry. Complete support services including consultation, protocol development, quality assurance, analytical chemistry and archive facilities are integral components of studies performed at MB. Our technical and support procedures are in full compliance with OECD, FDA, and EPA. MB offers GLP Toxicology Testing for pesticides and chemicals. Your Source for In Vitro & Alternatives to Animal Testing. in vitro and alternative toxicology test methods. We specialize in protocols for Eye and Skin Irritation, Corrosivity, Skin Sensitization, Genotoxicity, and Phototoxicity. 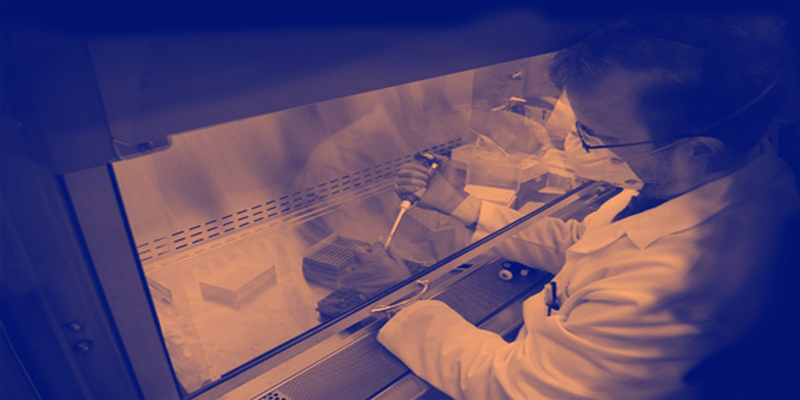 The LLNA-BrdU ELISA is conducted at MB Research Labs and is based upon the OECD 442B Testing Guideline. The LLNA is an alternative toxicology assay for dermal sensitization using CBA/J mice. The LLNA is an alternative to guinea pig studies that require more animals and long test durations. 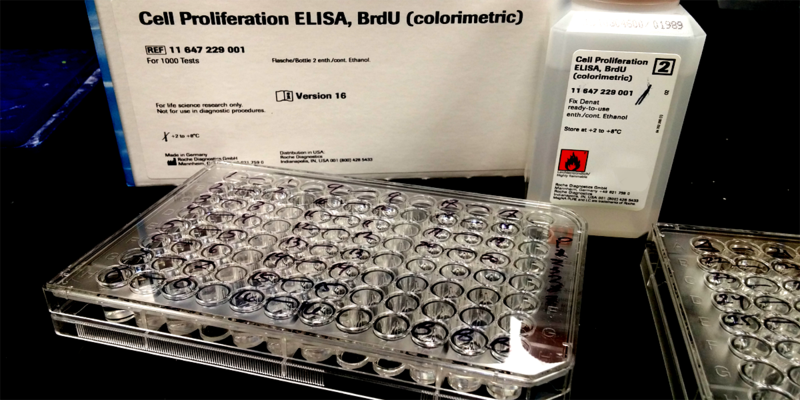 To determine the sensitizing potential of topically applied test material utilizing the LLNA, and measurement of lymphocyte proliferation by BrdU incorporation detected by ELISA. An initial Irritation Screen is performed using 3-5 highest achievable concentrations. The screen consists of 2 animals per concentration that will be dosed in an identical manner to that of the main test. Ear measurements will be taken prior to dosing on Study Days 1 and 3, and prior to euthanasia on Study Day 6. Measurements taken on Study Days 3 and 6 will be compared to pre- dosing measurements. If there is no effect, or an increase of <25% in ear thickness, the same concentrations will be assayed in definitive test. However, if significant ear swelling (ES) is present (>25% over control), then an extended screen (Quantitative Irritation Test; QIT) is recommended. The QIT is similar to the Irritation Screen except 4-6 concentrations will be assayed to determine the highest non-irritating concentration. The main test will be conducted by topically applying test material to the dorsum of the ears at the 3-5 highest achievable concentrations (100 [liquid only], 50, 25, 10, 5, 2.5, 1, 0.5, etc. ), which do not cause severe irritation or overt systemic effects. Ear measurements will be taken on Study Days 1 (prior to first dosing), 3 (approximately 48 hours after initial dosing) and 6 (prior to euthanasia). Animals will be injected with BrdU on Study Day 5, approximately 24 hours prior to euthanasia. Auricular lymph nodes will be collected on Study Day 6, a single-cell suspension will be created and lymph node cells (LNC) will be assayed for BrdU incorporation via ELISA. A Positive Response is when a Stimulation Index (SI) is greater than or equal to 1.6 (relative to that of control lymph nodes). A “Borderline Positive Response” is defined as an SI from 1.6 to 1.9; additional information and testing may be needed. A Negative Response is when the SI is <1.6. Stop by Booth#: 2469 and meet some of our Study Directors and Client Services. Further Evaluation of Chemicals and Mixtures for Skin Sensitization Potential and Potency Using a Reconstructed Human Epithelium (RhE) Tissue Model and the IVSA. Historical Performance of Weak Sensitizers in Different Animal Models. Resolving Corrosive/Severe Irritant Ocular Classifications using an Alternative Dual Ex Vivo Assay System. MB Research Laboratories, a GLP contract research Toxicology laboratory, has been conducting acute, subchronic / chronic toxicological and pharmacological studies since 1972. MB Research provides industry-leading general toxicology services for the pharmaceutical, biotechnology, medical device and agrochemical industries and government agencies. Routine and non-traditional toxicology studies are performed, custom testing services to meet specific testing needs is available. Study Directors and technicians strive to consistently deliver exemplary results to support both Good Laboratory Practices(GLP) and non-GLP Toxicology studies. 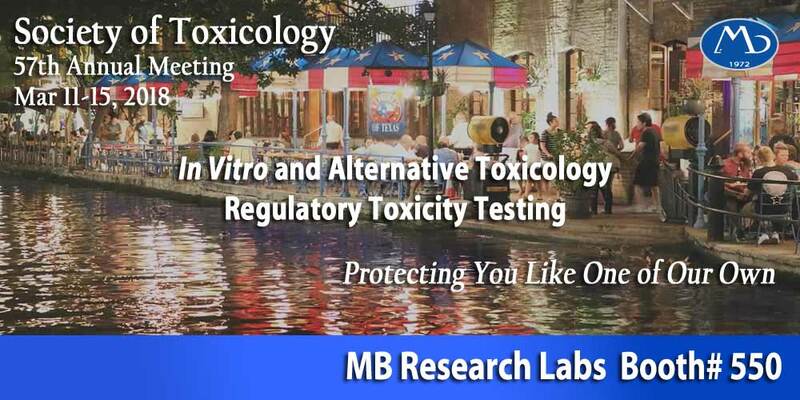 With a wide range of in vivo and in vitro test protocols available, MB Research Labs offers comprehensive Toxicology Testing capabilities to address your unique needs and goals. With expertise in many areas of in vivo and in vitro testing, research, and safety evaluations, MB Research serves the testing needs of both government and industry. Complete support services including consultation, protocol development, quality assurance, analytical chemistry and archive facilities are integral components of studies performed at MB. Our technical and support procedures are in full compliance with OECD, FDA, and EPA. The Federal Insecticide, Fungicide, and Rodenticide Act (FIFRA) is a United States federal law that outlines the basic U.S. pesticide regulation to protect applicators, consumers, and the environment. FIFRA is administered and regulated by the United States Environmental Protection Agency (EPA) and the appropriate state environmental agencies. MB Research Labs is a GLP Contract Research Laboratory with over 40 years of regulatory toxicology testing experience. With standard and custom protocols, MB Research can assist you with your testing needs for product registration with the EPA. In vivo and In vitro toxicology tests are available.